Although both have met over a dozen times as leaders of their countries, the Saturday meeting in Qingdao comes just a little over two months after the "ice-breaking" informal summit in the central Chinese city of Wuhan. 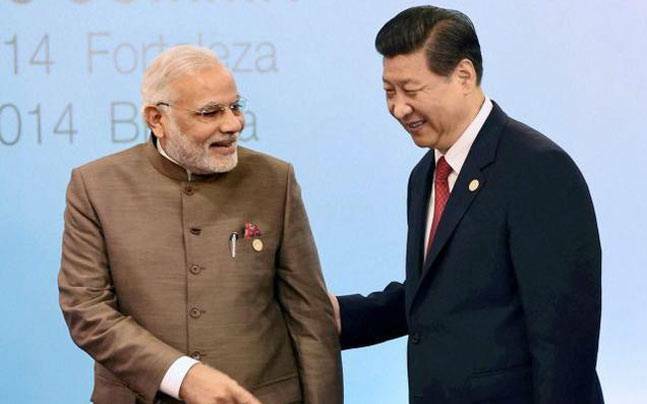 Prime Minister Narendra Modi is set to visit China on Saturday to attend a two-day Shanghai Cooperation Organisation (SCO) summit in the coastal city of Qingdao where he will have a one-on-one with President Xi Jinping. Ahead of his visit, PM Modi said that he was excited to lead the Indian delegation for their first-ever meeting of the Council as a full member. "The SCO has a rich agenda for cooperation, ranging from fighting terrorism, separatism and extremism to promoting cooperation in connectivity, commerce, customs, law, health and agriculture; protecting the environment and mitigating disaster risk; and fostering people-to-people relations," PM Modi said in a Facebook post. "In the last one year since India became a full member of the SCO, our interaction with the Organization and its member States has grown considerably in these areas. I believe that the Qingdao Summit will further enrich the SCO agenda, while heralding a new beginning for India’s engagement with the SCO," he added. Although both Modi and Jinping met over a dozen times as leaders of their countries, the Saturday meeting in Qingdao comes just a little over two months after the "ice-breaking" informal summit in the central Chinese city of Wuhan. India and Pakistan last year were formally inducted into the eight-member security bloc whose other member nations are China, Russia, Kazakhstan, Kyrgyzstan, Tajikistan and Uzbekistan. After a year of turbulence marked by over a two-month military stand-off near their border, Sino-India ties have seemingly improved in 2018. Modi is expected to hold nearly half a dozen bilateral meetings with leaders of other SCO countries. However, there is no official word on whether there will be any interaction between Modi and Pakistan President Mamnoon Hussain, who is scheduled to attend the meeting in China. Officials have said Modi and Xi are expected to take stock of implementation of decisions taken at their informal summit in Wuhan. Among other issues, the SCO summit is expected to focus on opportunities for cooperation among the member countries and the situation in the region, Kumar said. Russian President Vladimir Putin is also expected to attend the summit. Modi had last month met Putin in an informal summit in Sochi. The SCO was founded at a summit in Shanghai in 2001 by the presidents of Russia, China, Kyrgyz Republic, Kazakhstan, Tajikistan and Uzbekistan. India and Pakistan became its members last year, and are participating as full members for the first time.